4seating.com Blog: Labor Day Sale! Labor Day is that time of the year when we acknowledge and celebrate the hard work we've done, by taking a well-deserved day of rest. So there is no better way to observe the holiday, than by beefing up your home theater so you can enjoy the time off in style. 4seating is here to help, with a Labor Day blowout sale which features several unique, one-of-a-kind bargains you won't be able to resist. For starters, all seats are 6% off! 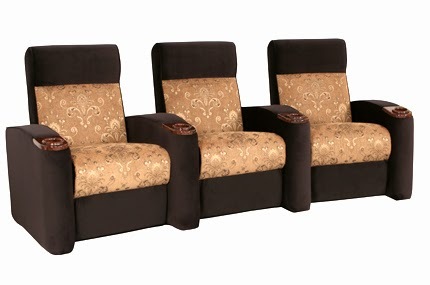 This includes everything from our authentic movie theater seats to the luxury models in the Seatcraft Majestic series. With so many brands and designs to choose from, you are sure to find the seat which fits your individual tastes. Whether it's fabric or leather, bronze or lighted cup holders, in-arm storage or storage ottoman, or an array of styles from classic to contemporary, you'll find it here at a reduced cost. In addition, when you purchase a Seatcraft, Lane, Coaster, or Barcalounger seat, you will be able to choose one free accessory to match (a limit of one per order). Accessories can greatly enhance the enjoyment of a home theater seat, and range from comfortable neck pillows to handy reading lights. A tablet holder can be used to hook your tablet to the screen, and bring the vast power of the internet into your evening's entertainment options. 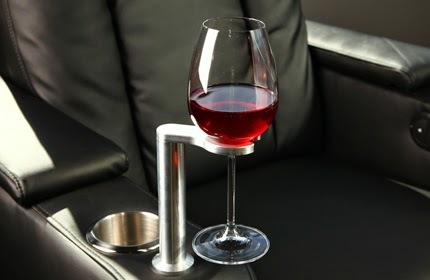 Wine glass caddies and cigar hosts will lend a swank sophistication to your setup that can be used for gatherings with friends, or perhaps a lazy Sunday spent on your own with a classic movie. These accessories are built to the highest standards and enhance both the look and utility of any chair. Finally, Palliser is offering an unprecedented, never-before-seen blowout on its custom line of home theater seats. Receive a whopping 20% off the manufacturer's suggested retail price, good from August 21 to September 1! These custom seats can be individually tailored to match your requirements; choose from hundreds of fabric and leather choices to craft the seat that's just right for you. With a sales opportunity like this, you won't want to miss out. Call us now at 1-800-407-8665 and one of our experienced customer service agents will make sure that taking advantage of this rare event is a quick and painless process. 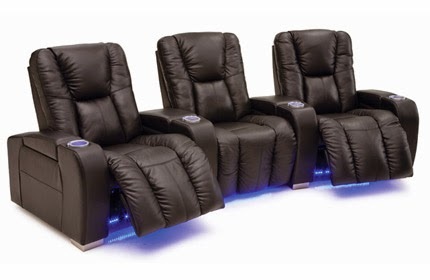 With the right home theater seat and free accessory by your side, every day will feel like Labor Day!